All services administered on your HVAC units are part of keeping them up and running. Naturally, this means the higher quality of services you get, the better your system will function. Unfortunately, not everyone realizes that getting the best in quality installation for their heating and cooling systems is easily the most important step. Even if your HVAC systems have high-efficiency ratings, they will fail in providing expected results when they are not installed correctly. They won’t be able to offer the energy savings initially promised, meaning the additional investment you made on your heating or cooling system will result in a loss. Additionally, improper HVAC installation can actually reduce your unit’s efficiency by up to 30%, piling on energy costs for you. Poor-quality installation can also lead to poor comfort control at home. When your heating or cooling system is not installed properly, it will have a hard time achieving your home’s ideal temperature. As a result, your interior environment can be too chilly or too warm during extreme weather. 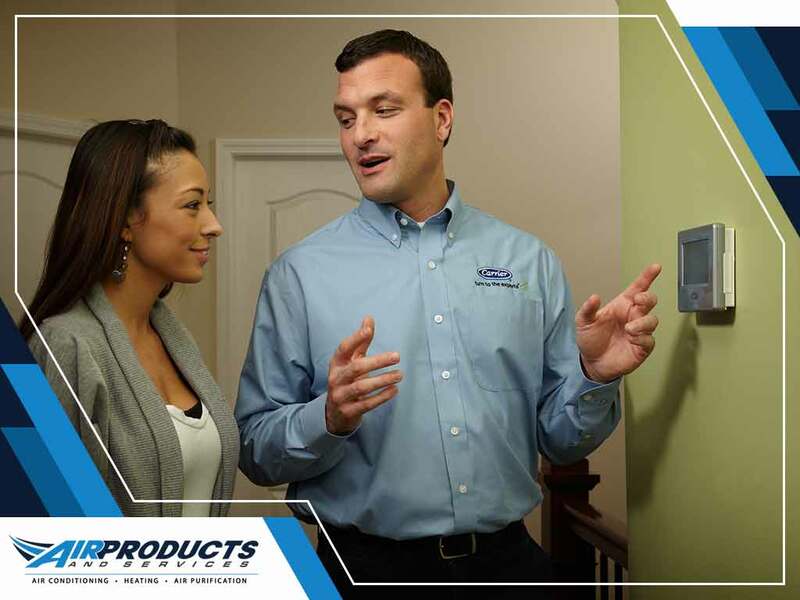 AC repair and replacement specialists like Air Products Inc. can provide the best installation services for your needs, ensuring ideal indoor conditions no matter the time of the year. Lastly, HVAC systems that are installed incorrectly are bound to fail earlier than expected than those that have been installed according to manufacturer specifications by a professional. Improper installation forces your units to work harder, putting more stress on components. Properly installed heating and cooling systems can last up to 15 years while those installed incorrectly will not reach anywhere near that. Make the most of your HVAC installation by trusting only reliable professionals like Air Products Inc. Aside from offering top-quality installations, we are also a premier AC troubleshooting system and maintenance provider. To get started, simply give us a call today at (818) 989-2030. We serve Tarzana, CA and the neighboring communities.